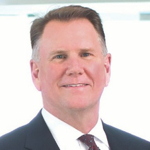 Joe Sullivan and his team are deepening Legg Mason's [profile] ties with its key backer. Sullivan confirms this morning a multipart deal with Singapore-based Shanda Group, the biggest shareholder in Baltimore-based Legg. The deal entails two Shanda top jobs joining Legg's board, Shanda upping its stake in Legg by 50 percent, and Shanda investing at least $500 million in Legg's investment offerings. Shanda's even promising "to make a meaningful contribution" to Legg's charitable foundation. MarketWatch picked up on the news. The board seats appear to reinforce the importance Shanda places on its investment in Legg. The two Shanda executives joining Legg's board by June 1, 2017 are none other than Tianqiao Chen, Shanda's chairman and CEO, and Robert Chiu, Shanda's president. And Chen will become vice chairman of Legg, too. On the stake side, MarketWatch notes that, per FactSet, Shanda currently owns 10.5 percent of Legg. This new deal entails Shanda upping its stake to up to 15 percent.